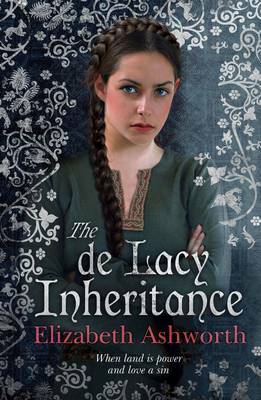 Using characters known to recorded history, including one to become the real Sheriff of Nottingham, Elizabeth Ashworth weaves a tale of loves lost and found during the exile of Richard the Lionheart. Young Richard Fitz-Eustace’s return from Palestine is far from joyous. Damned by leprosy he must bid his mother, grandmother and sisters a final and sorrowful farewell and leave his estates at Halton Castle forever. Condemned to shun the company of others he must now find a place of solitude where he can seek forgiveness for sins committed in the Holy Land for which he is certain he has earned God’s curse. Resolved to live out his life as a hermit, he journeys north into the newly named county of Lancashire. But this is no arbitrary journey; there is one last obligation undertaken for his grandmother: that he will seek out her kinsman, Sir Robert de Lacy, at Cliderhou Castle and there press his consideration of her claim to his estate. Meanwhile, at Halton, Richard’s headstrong fourteen-year-old sister, Johanna is distraught. The fate of her beloved elder brother has done more than leave her bereft. Her other brother, ruthless and ambitious Roger has returned to take his place as head of the family. He and Johanna’s mother have contrived a marriage for her to a wealthy old landowner, and without Richard’s protection there seems little she can do about it unless she can escape. Just googled into your blog on Ordsall Hall and realised I had intended to write to you months ago after reading “The de Lacy Inheritance”. I was enthralled and fascinated by it and gave me an insite into the possible activities of my ancestors. I am planning a visit to Middleton, Ordsall, Prestwich, Whalley and Pontefract weekend Fri 9th. to try and get the background to my ancestors in the fourteenth century. Sorry, but I have managed to loose your email address.